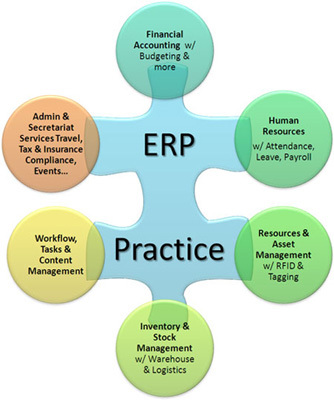 Virmati’s Business ERP Practice is a sibling of Government Practice with the focus on Private Sector Enterprises committed to bringing IT Transformation. An Enterprise’s IT vision is to leverage the emerging new technology to improve performance, results, growth & decision-making. Virmati’s vision is to enable the above by offering No-Nonsense, Robust Solutions & Services making the Enterprise stay ahead in the game & in control. The ERP Solutions pack powerful features, comprehensively cover the requirements and are backed with excellent Project Delivery Services, covering SRS or Gap Analysis right upto Hand-Holding & Capacity Building.